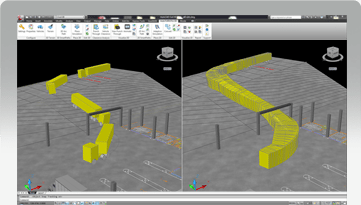 AutoTURN® Pro is the state-of-the-art tool for performing swept path analysis. 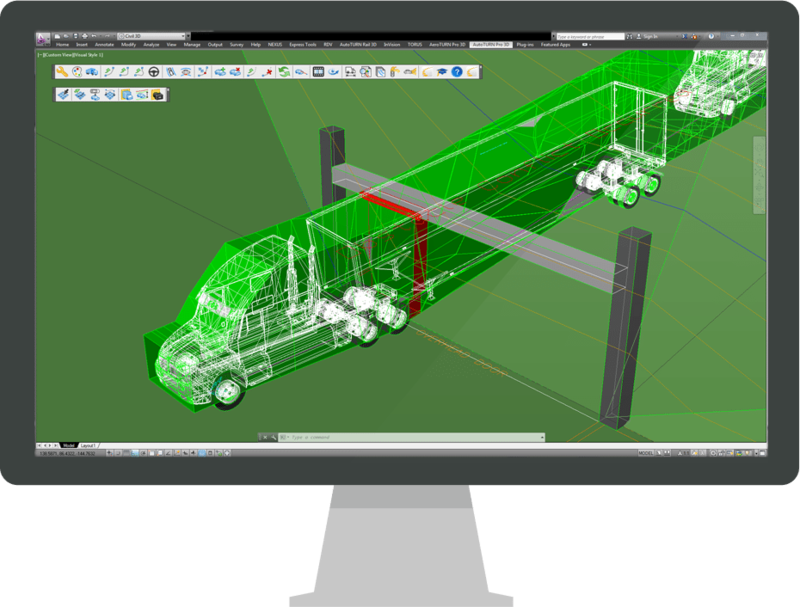 With the Swept Path 2.0 technology built-in, it takes the analysis to a whole new level from Path Automation to 3D Clearance Analysis. 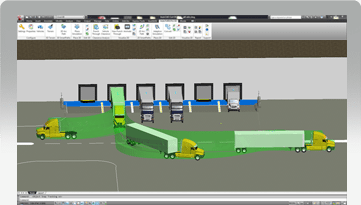 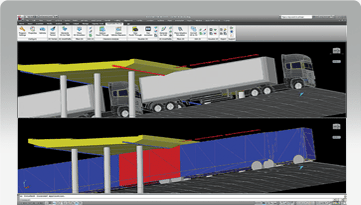 Incorporating the trusted AutoTURN engine together with the patent pending technologies for automating paths with IntelliPathTM and generating three-dimensional vehicle clearance envelopes – professional engineers, architects, and drafters can analyze their designs whether it is assessing the vehicle circulation or checking ground clearances. 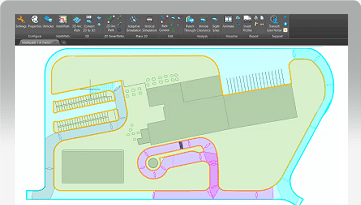 For this release of AutoTURN Pro, we've adapted with the changing engineering landscape and incorporated feedback from our users making this version of the most advanced and easy-to-use 3D vehicle swept path analysis software.